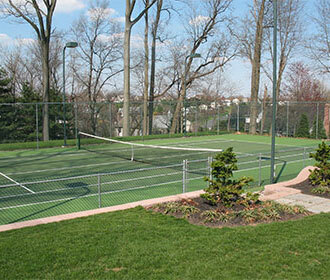 Tennis court and basketball court paving are an integral part of B.R. 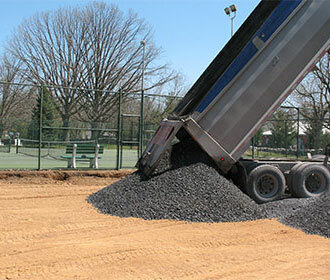 Kreider Driveways’ paving services. 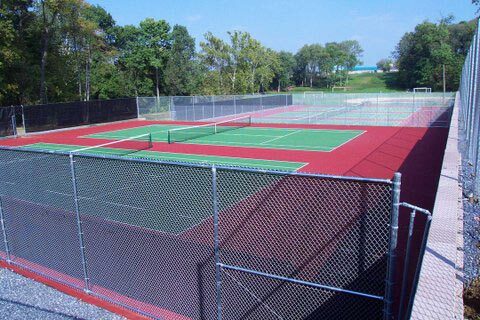 We have many years of experience paving courts for homeowners, schools and municipalities throughout Lancaster County and Central PA.
Our installation and paving process creates a smooth uniform surface that is attractive, durable and properly sloped to avoid water puddles. 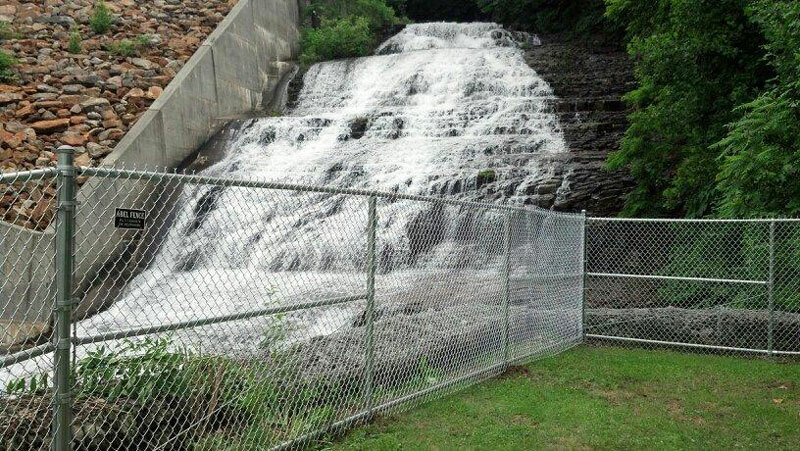 The balls won’t take a bad bounce on our finished surface! 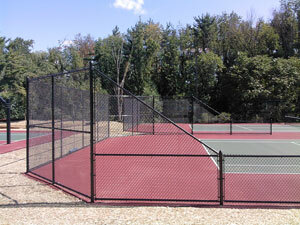 For a quality finished tennis or basketball court and many years of enjoyment, you can rely on B.R. 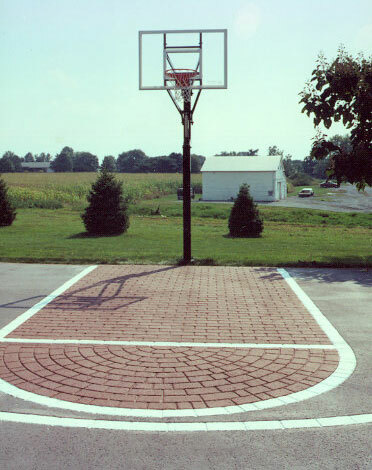 Kreider Driveways. 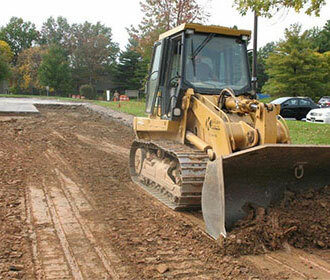 Kreider Driveways can “design-build” to fit the needs of the property and owner. 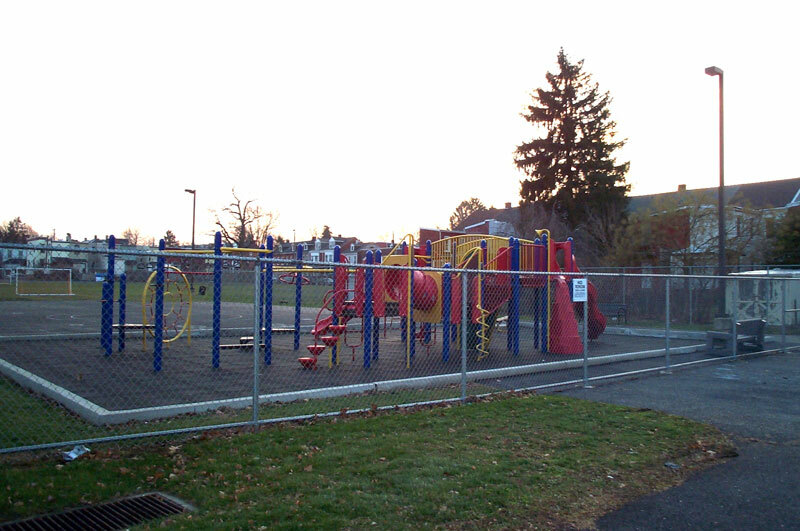 Modern equipment with sonic grade technology combined with electronic laser levels is used to establish an appropriate sub-base required to create the proper slope and flat surface area to achieve a good playing field. 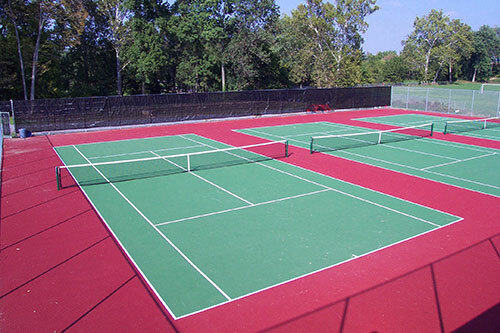 A paved asphalt-based tennis court is usually color-coated and basketball courts can be coated or non-coated. 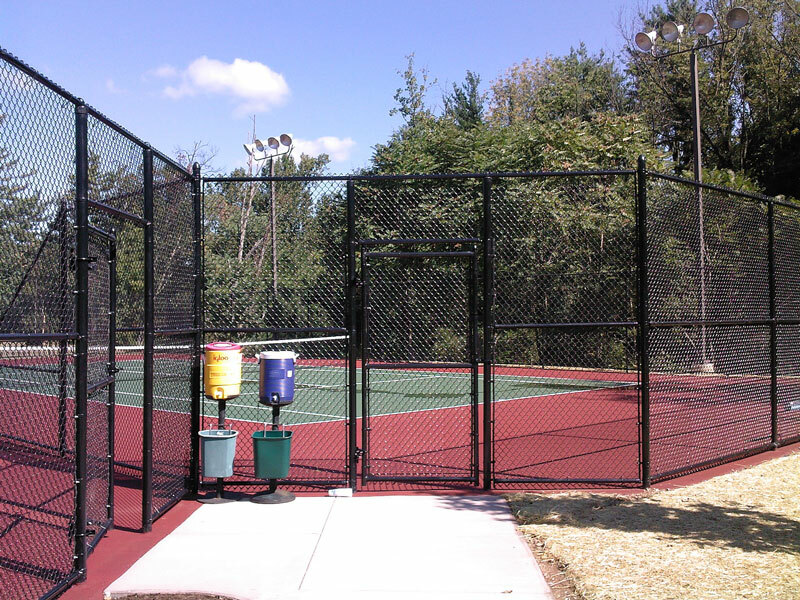 Applicable to basketball courts or surrounding walkway areas, a more decorative product is available by using "Street Print”, a textured asphalt process that can simulate brick or stone patterns and colors. 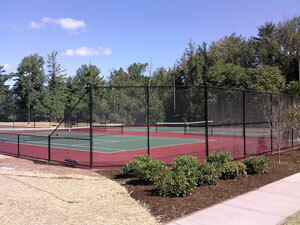 to see more finished basketball and tennis courts. There are many different options for fencing around your court, including galvanized or vinyl coated chain link, as well as different types of wind reduction netting. 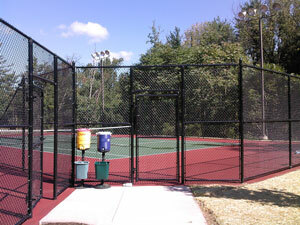 Options for installing your basketball poles. There are many different types of poles and backboards to choose from. The installation can sometimes be a little bit of a tricky process so at Kreider Driveways we can install the pole(s) for you with either a straight mount or an adjustable mount! Talk to your Kreider representative to determine which option is best for you.